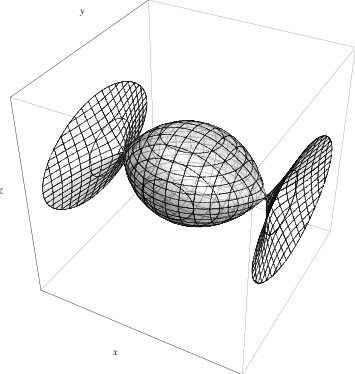 Self-consistent triaxial tidal models: As a generalization of the well known family of spherical King models, I constructed a family of triaxial models in which the deviations from sphericity are induced by the presence of an external tidal field, taken into account self-consistently. By considering the simple case of a cluster in circular orbit within a host galaxy, the equilibrium distribution function is obtained from the one describing the spherical models by replacing the energy integral with the relevant Jacobi integral in the presence of the stationary tidal field (see also Rix & White 1989, Weinberg 1993, Heggie & Ramamani 1995). The construction of the model requires the solution of a singular perturbation problem for the relevant Poisson equation. A method of solution to any desired order is devised, with a formulation of the equation for the general term of the perturbation series by means of the Faa di Bruno formula (see Faa di Bruno 1855); the explicit solution up to the second order in the perturbation parameter is provided. In particular, the singularity is cured by the introduction of a boundary layer and, to obtain a uniformly valid solution over the entire domain, an asymptotic matching is performed, by application of the Van Dyke principle (see Van Dyke 1975). A full characterization of the resulting configurations in terms of the relevant intrinsic and projected properties has been given and the range of the predicted flattening is consistent with that observed in most Galactic globular clusters. Tidal structures of NGC 5053 and NGC 5024: These two very metal poor Galactic globular clusters are located approximately at the same distance from the Galactic Center (D ≈ 17.5 kpc) and they are characterized by very different values of central concentration (c = 0.74, 1.72, respectively). Recent morphological studies based on SDSS data have reported the existence of structures in the surface brightness profile of both clusters extending beyond what is prescribed by spherical King 1966 models (Jordi & Grebel 2010). In addition, there is evidence of a 6◦ tidal stream related to NGC 5053 (Lauchner et al. 2006) and the possible existence of a bridge-like structure between the two clusters (Chun et al. 2010). The complex morphology observed in both clusters can be interpreted as the result of the tidal effects of the Galactic field combined with, possibly, the effects of their mutual gravitational interaction. A wide-field photometric investigation with WIYN-pODI will provide a detailed morphological characterization of the two globular clusters, with particular attention to the distinction between genuine external tidal structures and nonspherical morphological features of the outer parts of the clusters. Status: observing proposal approved, photometric data collected.